Catherine Peart of Gingham Cherry sent us two great craft tutorials, which are newly published today. 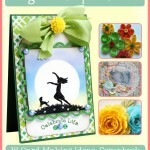 These are great projects for beginner crafters and those looking for quick gifts for Mom or the kids. Kid’s Silhouette Tutorial– Silhouettes are very stylish right now, and are a snap to create with this tutorial. 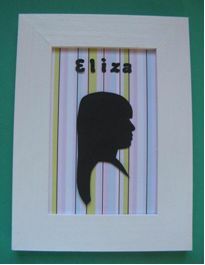 Making silhouettes of the kid(s) is a perfect Mother’s Day gift, but is also fun for decorating any room of the house. I would love to make silhouettes of my two sisters and I for my parents’ house. ID Key Tag for Kids– This is a fun and functional project, to help kids keep track of their school bags. 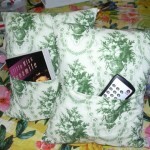 They will love the personalized touch. Have them pick out the decorative paper and colors of beads themselves! For more Mother’s Day gift ideas, check out our Mother’s Day category. For great crafts for kids, check out our Kids category.